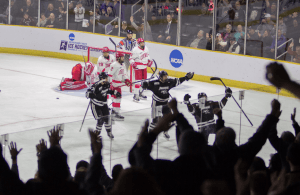 The Providence College Men’s Hockey Team entered the NCAA Hockey Tournament as the fourth and lowest seed in the East Regional. The Friars were quite fortunate to be selected into the East Regional, which was hosted by Brown University within the friendly confines of the Dunkin’ Donuts Center. 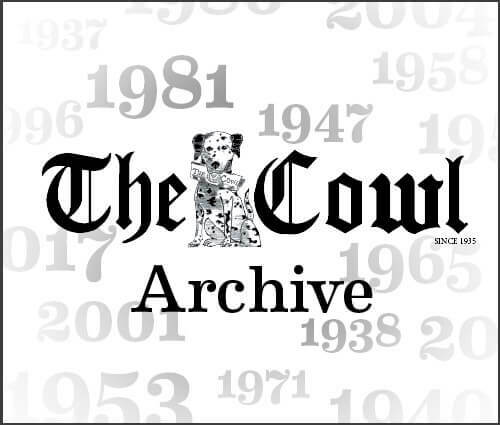 The region also consisted of Minnesota State, Northeastern University, and Cornell University. For its first matchup of the tournament, PC was paired up with #1-seed Minnesota State, who entered the regional semifinal having never won an NCAA tournament game in school history. 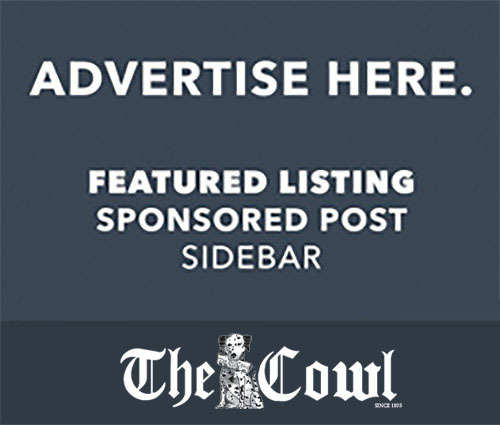 Despite lacking a win at any point in its team’s history, Minnesota State entered its semifinal game against PC looking like a team that could make a deep run in this year’s NCAA hockey tournament. On Saturday, March 30, PC men’s hockey took the ice at the Dunk to play Minnesota State in the first round of the East Regional. Although PC was technically the underdog, the team had the privilege of playing at the Dunkin’ Donuts Center, just a few minutes away from its regular home at Schneider Arena. Despite practically playing a home game, the Friars had a poor start to the game. In just under 12 minutes of game play in the first period, PC conceded three consecutive goals to Minnesota State. Down 3-0 to the Mavericks, it looked as though PC had dug itself a hole which could not be escaped. However, after Josh Wilkins ’20 scored a power play goal towards the end of the first period to cut Minnesota State’s lead to 3-1, the Dunkin Donuts’ Center came back to life and the game felt brand new. Entering the second period down 3-1 instead of 3-0, PC showed absolutely no signs of distress or panic. At 4:37 in the second period, Vimal Sukumaran ’20 scored on an assist from Ryan Tait ’19 to cut Minnesota State’s lead to 3-2 and excite the crowd at the Dunk even more. After this, the Friars scored another power play goal, this time by Kasper Björkqvist ’20. From that point on, the Friars continued its scoring run, adding three more goals by Tyce Thompson ’22, Wilkins, and an empty-net goal by Jason O’Neill ’21. PC beat Minnesota State by a final score of 6-3, and would go on to play Cornell University on Sunday in the East Regional final. 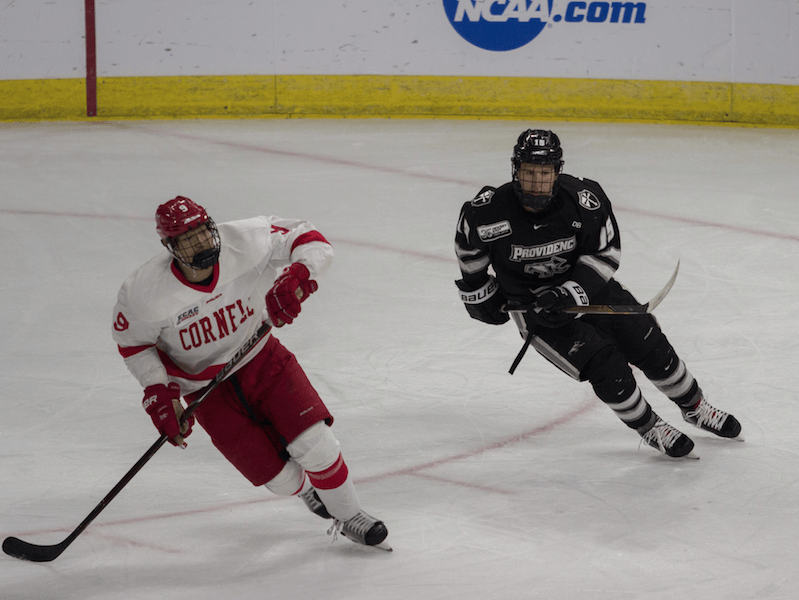 After what was a sluggish start to Saturday’s semifinal matchup against Minnesota State, the Friars made sure not to do the same against Cornell, who had beaten Northeastern 5-1 the previous day. In Sunday’s East Regional final, PC scored early and often, and combined an outstanding offensive effort with excellent defense and a great performance by goaltender Hayden Hawkey ’19. PC beat Cornell 4-0 with goals by Greg Printz ’21, Wilkins, Scott Conway ’19, and Brandon Duhaime ’20. With the win, PC advanced to the Frozen Four in Buffalo, New York. This year’s Frozen Four consists of PC, Hockey East foe University of Massachusetts Amherst, the University of Minnesota Duluth, and the University of Denver. The first-round matchups are set to take place on Thursday, April 11 with PC playing Minnesota Duluth at 5 p.m. and UMass playing Denver at 8:30 p.m.
PC has a tough matchup ahead, as Minnesota Duluth is ranked the #2 overall team in the NCAA. However, PC has won in similar situations before. In 2015, PC advanced to the Frozen Four as a 4-seed and beat Boston University in the title game to win the National Championship. The other matchup features UMass and #4 Denver. PC and UMass are quite familiar with each other, as the two teams have met three times this season, and PC has a 1-2 record against the Minutemen. If both UMass and PC advance to the National Championship, there is no telling who would prevail in the Hockey East battle for the national title.